Despite the fact that the hockey played by the St. Louis Eagles of the NHL in its only season on the ice failed to attract fans or find success, it seems that promoter Walter “Speedy” Clark figured the missing ingredient was?—?motorcycles. In an announcement on April 2, 1935, E.P. Gammon, the St. Louis district representative of the American Motorcycle Association, declared that the sport of Moto-Hockey, which appears to have already been in practice in other parts of the United States, would come to St. Louis. The “wildest, roughest sport on wheels” borrowed from hockey, polo and soccer and was played on specially designed motorcycles on a playing surface made of clay marked out like a hockey rink. Each team had four players?—?a goaltender, a center and two forwards, who participated in four 15 minute periods. The St. Louis team held its first practice at the Coliseum on April 9, in preparation for the inaugural match against a team from New York scheduled for the following Tuesday. Sixteen local riders, which included noted dirt track racers, were present. At a subsequent practice, “diminutive forward” Sammy Stein lost control of his machine and careened into a post. He was replaced by George Seifert of Denver, who was dubbed a “veteran moto-hockey ace” and short track racer. Fifteen hundred fans attended the first contest, which resulted in a 6–1 loss by the home team to the New York squad. Based on the description of play, it should probably been called moto-soccer. Players did not use sticks, and the objective was to kick a ball through goal posts. The use of hands was disallowed, as was pushing the ball along with the front wheel. The crowd was generally unimpressed with the offering according to newspaper reports, despite the best efforts of the players, who even staged fights which resembled wrestling more than ice hockey donnybrooks. 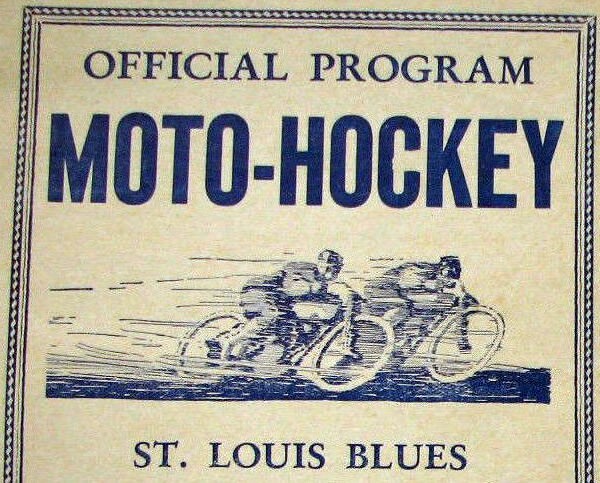 It isn’t exactly clear how many teams participated in the American Moto-Hockey Association, but one article mentioned that the St. Louis team had played in Kansas City, Des Moines and Denver. There was also some confusion about the name of the St. Louis team, with some articles calling the squad the Eagles, with others referring to it as the Blues, the latter being the correct one. A second game, which had been scheduled for the Coliseum, was played on a softball field in May in which the Kansas City squad provided the opposition. The third and apparently final match, also against the Kansas City team, was played in a park on September 24. Perhaps in a desperate attempt to attract spectators, promoter Gammon was scheduled to crash through a flaming board wall in a slideshow. It would appear that the sport suffered the same fate as the flaming board wall and the St. Louis Eagles of the NHL, and left the city after one season. Well, you found me. Congratulations! Between 1999 and 2003, I operated a website called losthockey.com where I posted profiles of obscure NHL players. In the days before online databases, newspapers and vital records, I spent hours digging through microfilm, cold calling, and mailing letters in the hopes of uncovering leads. 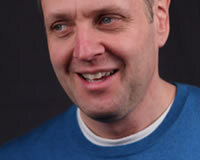 Sometimes I would get lucky and locate family members who were willing to share their relative's story. Like all things on the internet, my work was appropriated and reproduced on websites such as findagrave.com (especially by this person) and in books, often verbatim, always uncredited. So I have decided to reclaim my work by posting the profiles here, but with extra context detailing the process I followed. Enjoy!